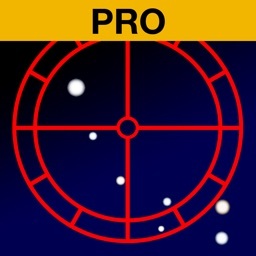 This is an app to show the position of the Pole Star (Polaris in Northern Hemisphere, or Sigma Octantis in Southern Hemisphere) in the polar scope of all the iOptron(R) telescope/camera mounts. 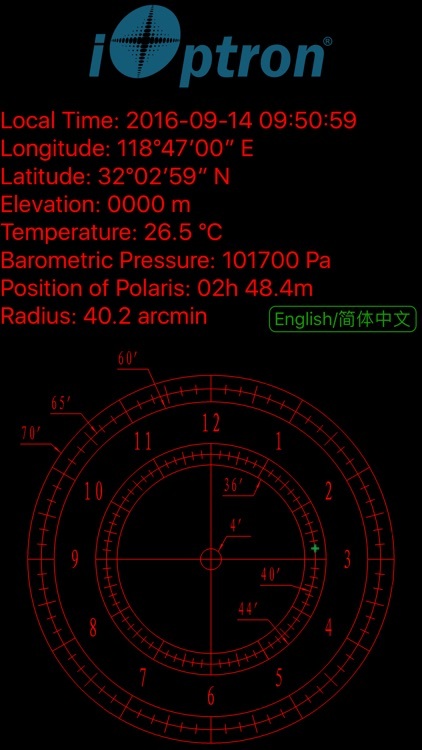 The app uses the best algorithm to calculate the position of Pole Star: The algorithm calculates 3D space motion of the Pole Star itself, precession, temperature and barometric pressure corrected atmospheric refraction, nutation, parallax, aberration, and etc.). 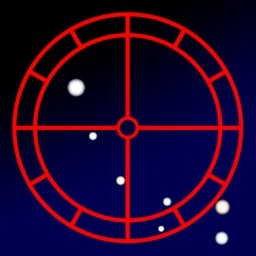 The overall accuracy of the algorithm has reached sub 0.1 arc-seconds now. 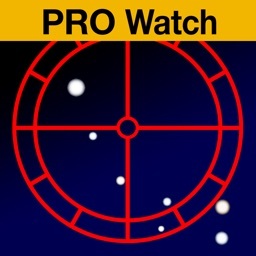 The app now using a 10 minute marker reticle, the same reticle used in the polar scope of iOptron(R) telescope mount since 2014. 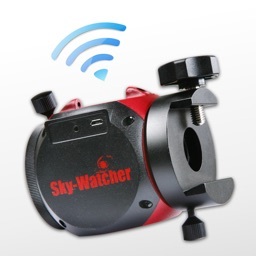 A must have for iOptron(R) SkyGuider Pro, iOptron(R) SkyTracker Pro, SkyGuider and SkyTracker users! Also very helpful for any iOptron(R) telescope mount owners. 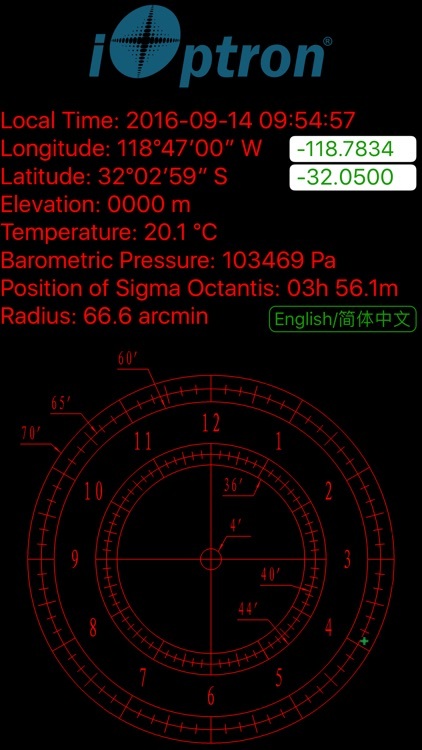 It may also be used with other brand telescope/camera mounts with similar polar scope reticle. No human interaction required when iOS devices can using location service normally. 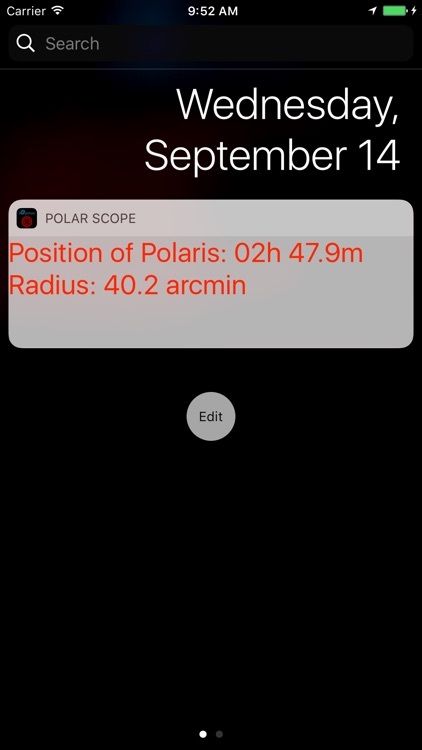 iOS users can now manually enter the location when location service is unavailable. 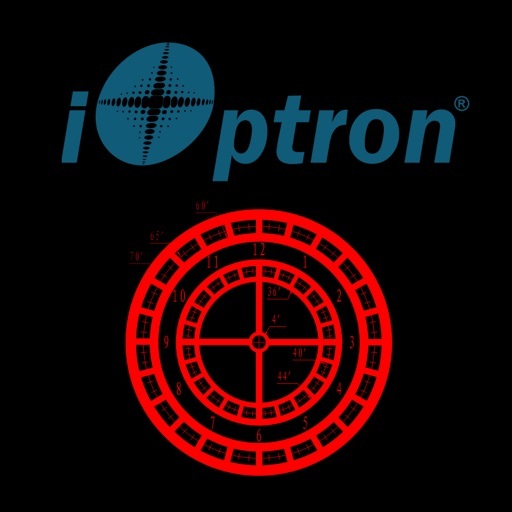 NOTE: Since 2017/03/03, This app has the identical result as iOptron 8407, 8408 hand controller and iOptron Commander 5.4.